Every accomplished entrepreneur, success book or business seminar out there can tell you that rejection or failure is part of the process of success and a stepping stone towards achieving your goals. MD of 212 Business Consulting, Quinton Douman agrees and says that organisations and entrepreneurs should create an environment which allows teams and themselves to accept rejection in order to learn, apply insights, and pursue innovative solutions when trying again. 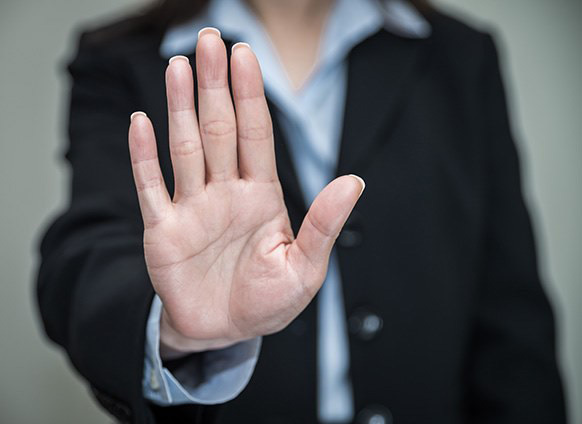 Whenever someone says no it means that in that moment they did not see enough value in what you were offering, as an individual or a business. Far from being the end, this is an essential step towards growth because every moment of rejection empowers you to either refine, adjust or reposition, or to walk away. I was once on a business trip in Germany and I went in to see a prospective client with high hopes on this particular day but came out instead with a big fat no. So many months have gone by and the rejections haven’t stopped, it never does. Sometimes it happens daily and if you take it personally it can destroy you. You have to approach the “no” with a spirit of feedback so that you learn as much as possible about why they said no. Sometimes it takes just a small tweak in your presentation, service, product or a slight adjustment in your approach and sometimes a change in attitude, but the bottom line is that rejection can provide you with valuable information. In this case, the information means being able to view rejection for what it really is: feedback. Also, give it some time, and try to stay on their radar. I have seen how people’s minds change about your business over a period of time when they see consistency in your efforts to enhance yourself and your business. Jamey Randall from Randsure Brokers tells a wonderful story about how his father repeatedly said, “Just be consistent” and evidently these three words have had incredible power into building his business which has a proud reputation of excellence in its operational region of Kwazulu-Natal and is expanding into Kimberly in the coming months. Randall follows on the footsteps of global icons such as Walt Disney, Oprah Winfrey, Charlize Theron, Richard Branson, Bill Gates and Nelson Mandela, who all used rejection to propel them to the next phase of growth. In my work of assisting people charter a path for their businesses, I have learnt that often when people say no, they actually mean not now. If you are getting rejected it means you are at least in the game and that in itself is a win. It means that you have moved from being a spectator on the sideline to a participant, and all that needs to happen now is to show courage and perseverance, learn from the no and look forward to a wonderful journey of consistent progress. This article is dedicated to every single person who is in the game and giving it their best every day.